If you have bad credit, you will find it difficult getting financing for a new car. Credit rating agencies use a score that is based on your repayment history. If you have bad credit you will find yourself buying a car at higher interest rates. While you may have the best intentions to keep your credit rating score high, unfortunate circumstances can lead to bankruptcy or default. However, your bad credit history should not prevent you from purchasing a new car. We are going to offer you tips on how to maneuver your way around it but be prepared to pay higher vehicle purchase cost. Interest rates and taxes will be higher when you have a bad credit history. When you have a larger down payment you reduce on all these. You also get more options when it comes to the type of car. Ensure you check all available auto loan rates before settling on one. The fact that you have bad credit does not mean you should just settle on any auto loan available. An auto loan can be tempting but you need to factor in utility bills. If you have nothing left after paying principal and interest for the car then the probability of defaulting on an existing loan are higher. Come up with a visible budget and stick to it. A budget comprises of your monthly income, minus your monthly household expenses. What remains is what you can afford to pay for your car loan. Remember to factor in emergencies. You will also need to add the cost of maintaining the car through fuel costs and insurance in your car budget. It is wonderful having a car with extras like leather seats, air conditioning or state of the art stereo. These extras put an extra burden on your monthly loan repayments. You can sacrifice on these extras and add them to your car later. Many car buyers with bad credit may be so excited about getting a car loan that they do not read the fine lines when getting their car loan approved. You will need to know what happens when you default and after paying for the car halfway. You should also ensure that the terms made verbally match those on the legal paperwork. Be wary of car dealers who make many promises as these can be missing on the paperwork. You can have your lawyer accompany you during the signing. Most of the car scam dealers are often too enthusiast to sell you a car. If the terms are unbelievable, it could be a sign to walk away. The type of car that you purchase will depend on the purpose of the car. If you have a large family and you may opt for a station wagon or SUV. 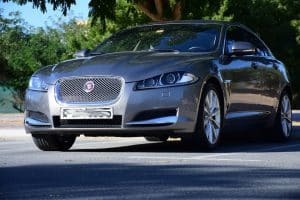 If you use the car for a daily commute and are concerned about fuel costs and two-door sedan or hybrid car may be worth the purchase. There those who work in the construction industry and need something big for hauling tools and raw materials, a pickup will work fine for them. You can check car prices from the various online car sellers website. This will help you explore different models and get you one with the best price. If you have bad credit you can ask family or friends help you make a down payment. They may act as your guarantor, which may reduce your interest rate. Loans from family members are low risk but should you fail to pay them you risk a ruined relationship. Carry with you some form of identification when visiting your lender. This includes utility bills, driving license and proof of ability to repay the loan. While none of these documents will improve your credit rating they increase your chances of getting a loan. You can try out your local credit unions. These not-for-profit organizations that offer lower interest rates than most financial institutions. You will need to be a member and save some amounts to build credibility. It can take some time to have your loan approved by a credit union. But, you do enjoy low credit interest rates. Banks and other lenders tend to have repossessed cars. This are often 40% cheaper than conventional new cars. You can find a car in pretty good condition. With a quick trip to the mechanic, few will know that the car was repossessed. You can get lucky and find a close friend desiring to sell their car to you. Private car owners do not need to know your credit history when selling you a car. In addition, they allow you to pay in installments. You can also negotiate the price down and get a good deal. Ensure you have all the necessary documentation when purchasing a car from a private dealer. You can check your local dailies for private car sellers. Car dealers often offer some form of car financing. The rates are, however, higher than what you find in conventional banks. 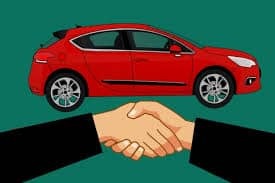 Dealership offers car financing to people with bad credit but you need to read the terms carefully because the risk of defaulting and the car being repossessed is higher. When buying a car from private sellers or car dealership ensure you have your mechanic around to examine the car. You can take your mechanic for test drives so that they can listen to the response of the engine. Mechanics come in handy when checking for under the hood. They will check the engine, transmission, braking system, car exhaust and electrical components. It is hard for someone with bad credit to find financing. However, other means of financing exist. You will need to make a large initial deposit to reduce your interest payments. You can first try borrowing money from family and friends. If this does not work check out your local credit union. These are cheaper and offer credit to people with bad credit.